Oleksii Gubenia, Assotiated professor, departament "Machins and apparatus of food and farmatheftical production", National University of Food Technologies, Ukraine. 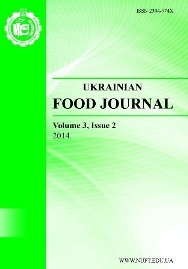 Ukrainian Food Journal publishes original research articles, short communications, review papers, news and literature reviews dealing with all aspects of the food science, technology, engeneering, nutrition, food chemistry, economics and management. Studies must be novel, have a clear connection to food science, and be of general interest to the international scientific community. Periodicity of the journal 4 issues per year (march, june, september, december). All scientific articles submitted for publication in вЂњUkrainian Food JournalвЂќ are double-blind peer-reviewed by at least two academics appointed by the Editors' Board: one from the Editorial Board and one, not affiliated to the Board and/or the Publisher. There are no publication or submission charges. Yuliya Dzyazko, Dr., Prof., Institute of general and inorganic chemistry of National Academy of Sciences of Ukraine. 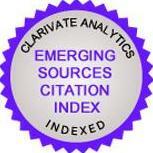 invites you to publication of your scientific research. All article elements should be in Times New Roman, font size 14, 1 line intervals, margins on both sides 2 cm. *Institution, where the work performed. If you need you can add another parts and divide them into subparts. The information about the author (Name, surname, scientific degree, place of work, email and contact phone number). All figures should be made in graphic editor, the font size 14. The background of the graphs and charts should be only in white colour. The colour of the figure elements (lines, grid, text) - in black colour. Figures and EXCEL format files with graphs additionally should submit in separate files. Photos are not appropriate to use. Popovici C., Gitin L., Alexe P. (2013), Characterization of walnut (Juglans regia L.) green husk extract obtained by supercritical carbon dioxide fluid extraction, Journal of Food and Packaging Science, Technique and Technologies, 2(2), pp. 104-108. Deegan C. (2000), Financial Accounting Theory, McGraw-Hill Book Company, Sydney. The Editorial Office strictly follows all rules and regulations recommended for all academic and scientific journals by COPE - the Committee on Publication Ethics (the official web site:https://publicationethics.org/resources). At any point of time the authors of the already published articles have the right to request a retraction, publish an apology, clarification and/or correction. The managing editor is expected to support this intention of the authors, however, they may also request additional explanation before publishing such information. Editors are responsible for determining whether a potential submission really fits the journalвЂ™s scope and framework. The decision that the text does not fit either of them should be delivered directly to the author(s) together with the explanation why so and (optional) recommendation on alternative publication opportunities. New editors do not have the right to reverse the decision of previously employed editors, the only exception being an external complaint filed regarding plagiarism or other academic misconduct. Articles containing criticism of previously published works (in this journal or elsewhere globally), encouraging scientific debate and/or presenting negative results should be treated equally to regular articles describing authorsвЂ™ original results. Articles of this category should be also subject to standard double-blind peer-review. In case the editors have detected plagiarism and have sufficient evidence to prove it - they have the right, officially or independently, to contact the authorвЂ™s employer, the Ministry of Education in the related country or other regulatory authority so that to report the case of plagiarism. If the case of plagiarism has been reported externally, the editors are expected to fully cooperate on it and provide all necessary evidence they have, with the only exception - the names of the blind reviewers involved in this case. Editors are seen as responsible for informing international databases and online libraries if there is a case of retraction. Editors, however, cannot be responsible for the timing of updates in the involved databases and libraries. 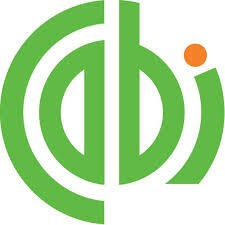 This journal restrains from all advertising activities as such and concentrates on publishing activities. In exceptional cases advertisement can be published though. Published advertisement is supposed to be directly related to academic research, higher education and conferences within the scope of the journal. All situations presented as the conflict of interests should be resolved according to COPE regulations. In such situations editors (or publishers on their behalf) are expected to find a similar case among those described on the official site of the COPE and act accordingly. Editorial Board and editorial office are strongly committed to maintain trustful relations with all authors and all reviewers. In May 2018 we updated our internal rules and code of conduct so that to comply fully with the acting GDPRВ policies. Editors which are in direct communication with authors, current and/or potential, are responsible for keeping all personal data of the latter strictly confidential. If the Board or the editorial office plans to conduct a survey among authors and/or reviewers, individuals participating in it must be informed in advance and must be asked for a signed permission. The Board and/or the editorial office is free to share personal information on the authors strictly in one case - when plagiarism has been detected and there is an ongoing formal investigation launched by a third party. 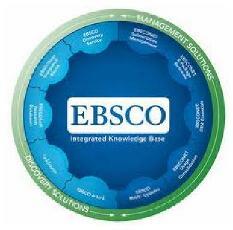 AuthorsвЂ™ work affiliation and contact email are published on the introductory page of each article. This data is considered to be open-access. If an author objects to have their email published - they should inform the editorial office about this once their text has been approved for publishing (blind review results are available). AuthorsвЂ™ job affiliation is considered globally as being integral part of articlesвЂ™ indexation in international databases, therefore, this sort of information is treated as open-source data and all authors are encouraged to provide their formal affiliation in the course of textsвЂ™ submission. The Editorial Board and the editorial office will never share personal contact information (telephone numbers, emails, skype name etc.) with any third parties, private or business. The minimum term of any personal data retention is 1 calendar year since theВ В day of the first contact. The editors maintain the right to delete any personal data on the authors and/or reviewers earlier than 1 year if the text has not been approved for publication (reviewer is not cooperating with the editorial office anymore). If any individual has received an email from the editorial office due to technical error or human mistake (typo in an email address, for example), we ask them to delete this email as soon as possible and notify the sender as soon as possible. If you want all your personal data be deleted from our internal editorial records - please, contact our managing editor via email.